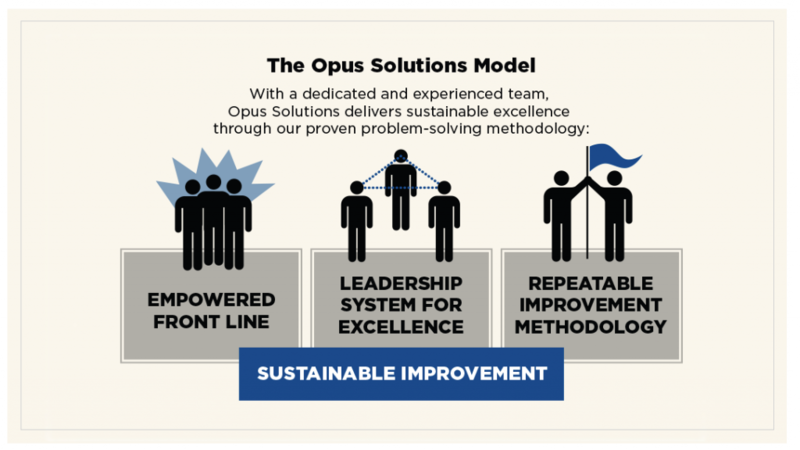 At Opus Solutions, we have a proven problem-solving approach to deliver sustainable improvement to our clients. Critical to this process is the engagement of our clients’ internal teams, including the leadership group and front-line service deliverers. Not only does the Opus approach trigger meaningful changes, but also our systems provide the tools for continuous and lasting growth.